Water Sports towables are fast becoming the number one water activity for families and thrill seekers alike this season. With their ease of use, versatility, affordability and just plain fun factor there really is a tubing towable that is a perfect fit for just about anyone. There is a seemingly endless array of awesome designs in colors and shapes of the water sports towables available on the market today. 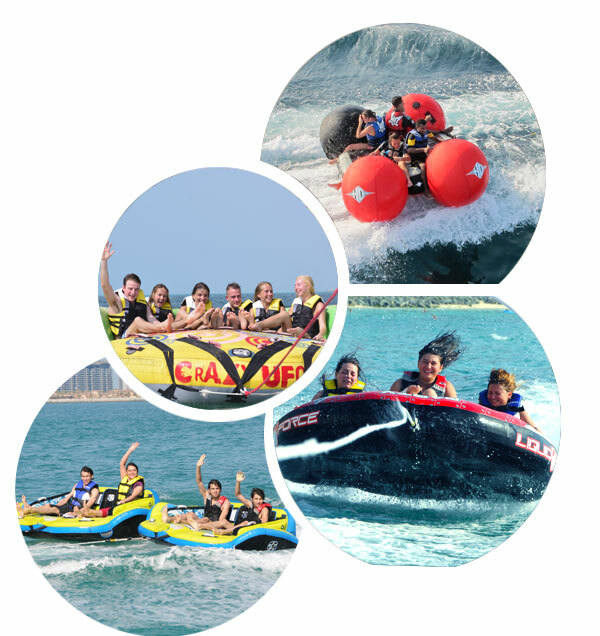 But, no matter how crazy the aesthetics of the water tubes, knowing what kind of ride you want to experience is really one of the more important factors in determining which type of water towable you choose for yourself and your family. 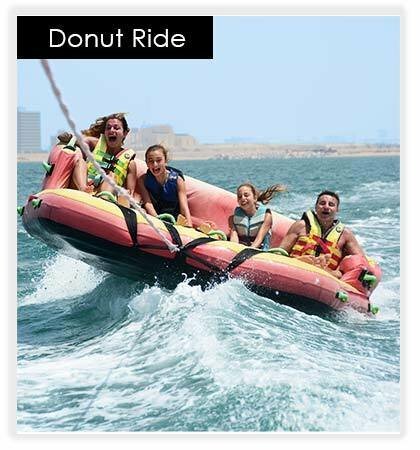 For Donut ride min 2 guest is required.